"Fiume" redirects here. For other uses, see Fiume (disambiguation). This article is about the city in Croatia. 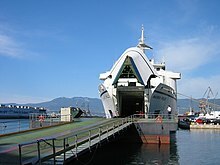 For other uses, see Rijeka (disambiguation). Rijeka (Croatian pronunciation: [rijěːka] ( listen); Italian: Fiume [ˈfjuːme]; Slovene: Reka; German: Sankt Veit am Flaum) is the principal seaport and the third-largest city in Croatia (after Zagreb and Split). It is located in Primorje-Gorski Kotar County on Kvarner Bay, an inlet of the Adriatic Sea and has a population of 128,624 inhabitants. 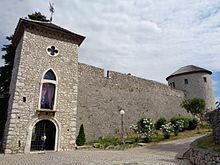 Historically, because of its strategic position and its excellent deep-water port, the city was fiercely contested, especially among Italy, Hungary (serving as the Kingdom of Hungary's largest and most important port), and Croatia, changing hands and demographics many times over centuries. According to the 2011 census data, the overwhelming majority of its citizens (94.52%) are Croats, along with small numbers of Bosniaks, Italians and Serbs. 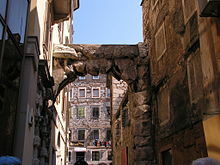 The city has a strong local sense of identity and the autochthonous inhabitants of Rijeka are referred to as Fiumans. Italy based its claim on the fact that Italians comprised the largest single nationality within the city (46.9% of the total population). Croats made up most of the remainder and were a majority in the surrounding area Andrea Ossoinack, who had been the last delegate from Fiume to the Hungarian Parliament, was admitted to the conference as a representative of Fiume, and essentially supported the Italian claims. Nevertheless, at this point the city had had for years a strong and very active Autonomist Party seeking a special independent status among nations for the multicultural Adriatic city, and which also had its delegates at the Paris peace conference, Ruggero Gotthardi. The most notable victims of the political and ethnic repression of locals in this period has been the Fiume Autonomists purge hitting the autonomists still living in the city, and now associated in the Liburnian Autonomist Movement. They actively helped the Yugoslav partisans in liberating the region from Fascist and Nazi occupation, and despite receiving various promises of large autonomy for Fiume inside the Federal Republic of Yugoslavia, they were eventually killed by the Yugoslav secret police OZNA in the days leading to and following the Yugoslav army's victorious march into city. 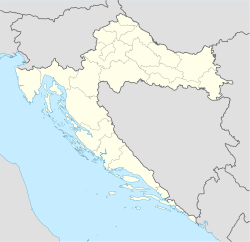 In the subsequent years the Yugoslav authorities joined the municipalities of Fiume and Sušak and after 1954 less than one third of the original population of the now united municipalities (mostly what was previously the Croat minority) remained in the city. 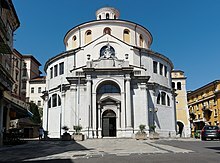 Thus the old municipality of Fiume lost in these years more than 85% of the original population. 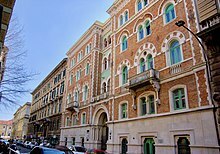 The city was then resettled by immigrants from various parts of Yugoslavia, changing heavily the city's demographics and its linguistic structure. This years coincided also with a period of reconstruction and new industrialisation. During the period of the Yugoslav communist administration in the 1950s–1980s the city became the main port of the Federal Republic and started to grow once again both demographically and economically thanks to the fact it got once again a solid hinterland, as well as the refurbishing of its traditional manufacturing industries after the war, its maritime economy and its port, now the largest in the country. 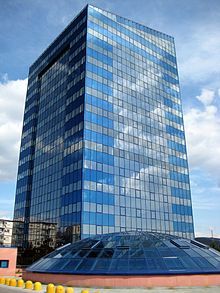 This paired with its rich commercial history allowed the city to become the second richest (GDP per capita) district of Yugoslavia. 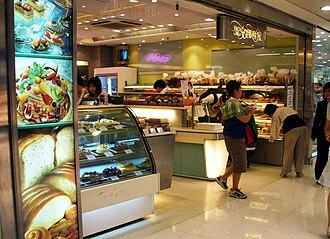 Many of these industries were a product of a socialist planned economy paired with the unique Yugoslav cooperative model, and they have not been able to survive the move to a new economic model during the transition to a full market-oriented model in the early 1990s, due to mismanagement and many national and local cases of corruption linked to the rushed privatization process that was carried out in the newly created Republic of Croatia. Irma Gramatica, famous Fiuman-Italian stage and film actress. Robert Whitehead, English serial entrepreneur, most famous for developing the first effective self-propelled naval torpedo, in collaboration with Giovanni Luppis in Fiume. Damir Urban, popular Croatian musician best known for his work as a singer-songwriter for the band Laufer and for his solo work with his band "4"
Stadion Kantrida, regarded by many as one of the most iconic and beautiful football stadiums in the world. A stylised version of Fiume during the 1920s was one of the main settings in the 1992 movie Porco Rosso by world acclaimed Japanese director Hayao Miyazaki, as the town in front of which the fantastical "Hotel Adriano" is found and to which it is connected by a boat service taken by the protagonist. Bruce Sterling's November 2016 novel written in collaboration with Warren Ellis, Pirate Utopia, a Dieselpunk alternative history, is set in Fiume (now Rijeka) in 1920 during the short-lived Italian Regency of Carnaro. 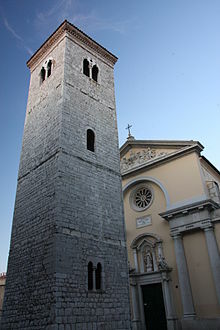 The 1980s American TV series "The Winds of War" was in part filmed in Rijeka and the surrounding areas. The popular German western Winnetou movies from the 1960s, based on Karl May novels, were in part filmed on location in the outskirts of Rijeka. 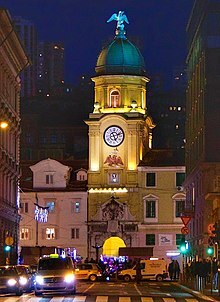 The setting of the popular 1970s cartoon series Professor Balthazar was inspired by Rijeka. 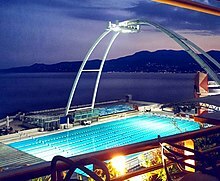 The TV series Novine (The Paper), which has been streaming on Netflix since April 2018, is based in Rijeka and the city was used as the main filming location. 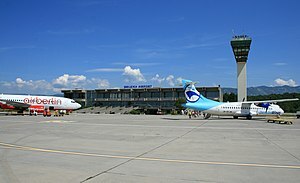 ^ "Rijeka 2020 – Europska prijestolnica kulture". rijeka2020.eu (in Croatian). Retrieved 2018-10-09. ^ "Fiume "torna" italiana: arriva la segnaletica bilingue per Rijeka". ilGiornale.it (in Italian). Retrieved 2018-10-09. ^ "ABC-TV, Paramount Studio go with 'Winds of War'". The Town Talk from Alexandria, Louisiana. February 5, 1983. p. 30. 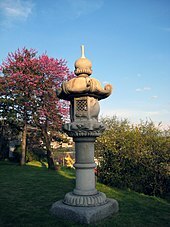 The Croatian Peasant Party is a center to center-right political party in Croatia founded on December 22,1904 by Antun and Stjepan Radić as Croatian Peoples Peasant Party. 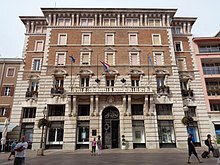 After the creation of Kingdom of Yugoslavia in 1918, Party requested for the Croatian part of the Kingdom to be based on self-determination and this brought them great public support which columned in 1920 parliamentary election when HPSS won all 58 seats assigned to Croatia. On 1923 and 1925 election, HRSS doubled the number of won votes and this resulted in HSS losing its popularity which was seen in 1927 election when it lost almost third of votes won in the previous elections. After termination of the agreement with the Radicals, HSS formed Peasant-Democratic Coalition with Pribičevićs Independent Democratic Party. 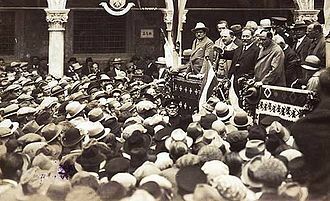 In 1928, Vladko Maček become new president of HSS after the assassination of Stjepan Radić, after King Alexander declared dictatorship in 1929, HSS was banned and its members prosecuted. 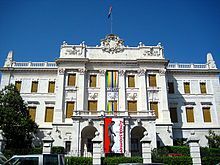 HSS participated on the 1935 and 1938 election as a part of the United opposition coalition which helped it to regain its influence, in 1939, Cvetković–Maček Agreement helped in the establishing of the HSS-governed Banovina of Croatia. 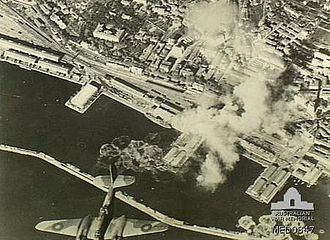 In May 1945, Maček left the country, while HSS split into two fractions which boycotted the 1945 election because of their opposition to the Communists, during the period of SFR Yugoslavia, HSS was active abroad. On May 25,1991, HSS was restored under the leadership of Drago Stipac at the so-called Assembly of Unification, after HSS lost 2003 election, it moved to the opposition. In 2011 election party won only 1 seat in the Parliament as has moved to the opposition, in 2015 election HSS won 1 seats as part of the conservative Patriotic Coalition, and supported Tihomir Orešković as Prime Minister. In 2016 election, HSS won 5 seats as part of the liberal Peoples Coalition, the Croatian Peoples Peasant Party was formed on December 22,1904 by Antun Radić along with his brother Stjepan Radić. 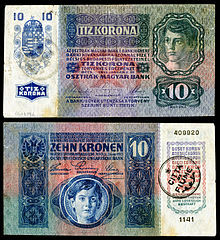 It participated in the elections for the first time in the Kingdom of Croatia-Slavonia in 1906, despite this, they entered the parliament in subsequent elections. 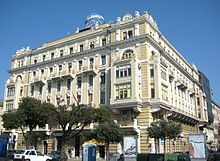 In 1908 the party won three seats, in 1910 nine seats, and in 1911 eight seats, while Croatia was still part of Austria-Hungary, HSS sought for greater autonomy, peasants rights and land reform. Saint Vitus /vaɪtəs/, according to Christian legend, was a Christian saint from Sicily. He died as a martyr during the persecution of Christians by co-ruling Roman Emperors Diocletian and Maximian in 303, Vitus is counted as one of the Fourteen Holy Helpers of medieval Roman Catholicism. Saint Vitus Day is celebrated on 15 June, in places where the Julian Calendar is used, this date coincides, in the 20th and 21st centuries, with 28 June on the Gregorian Calendar. In the late Middle Ages, people in Germany and countries such as Latvia celebrated the feast of Vitus by dancing before his statue and this dancing became popular and the name Saint Vitus Dance was given to the neurological disorder Sydenhams chorea. It led to Vitus being considered the saint of dancers. Vitus is considered the saint of actors, dancers. He is said to protect against lightning strikes, animal attacks, various places in Austria and Bavaria are named Sankt Veit in his honour. According to the legend, Vitus and Crescentia were martyrs under Diocletian, the earliest testimony for their veneration is offered by the Martyrologium Hieronymianum. The fact that the note is in the three most important manuscripts indicates that it was in the exemplar of these, which appeared in the fifth century. It is easily possible that it is the same martyr Vitus in both cases, according to J. P. Kirsch, the testimony to the public veneration of the three saints in the fifth century proves that they are historical martyrs. There are, nevertheless, no accounts of them, nor of the time or the details of their martyrdom. 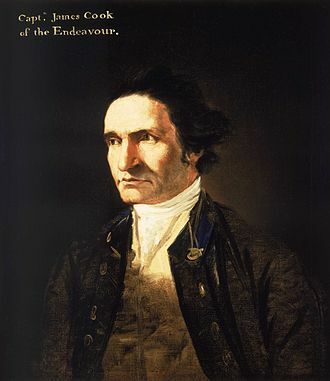 According to this legend, which has no apparent historical value and he resisted his fathers attempts, which included various forms of torture, to make him turn away from his faith. He fled with his tutor Modestus and Modestuss wife Crescentia, who was Vituss nanny and he was taken from there to Rome to drive out a demon which had taken possession of a son of the Emperor Diocletian. This he did, and yet, because he remained steadfast in the Christian faith, by a miracle an angel brought back the three to Lucania, where they died from the tortures they had endured. The demographic characteristics of the population of Croatia are known through censuses, normally conducted in ten-year intervals and analysed by various statistical bureaus since the 1850s. 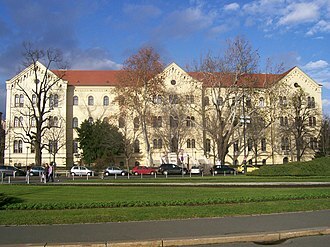 The Croatian Bureau of Statistics has performed this task since the 1990s, the latest census in Croatia was performed in April 2011. The permanent population of Croatia at the 2011 census had reached 4.29 million, the population density is 75.8 inhabitants per square kilometre, and the overall life expectancy in Croatia at birth was 78 years in 2012. The population rose steadily from 2.1 million in 1857 until 1991, since 1991, Croatias death rate has continuously exceeded its birth rate, the natural growth rate of the population is negative. Croatia is in the fourth or fifth stage of the demographic transition, in terms of age structure, the population is dominated by the 15‑ to 64‑year‑old segment. The median age of the population is 41.4, demographics professors from Zagreb Faculty of Economics predict that the population will decrease by 350.000 people by 2030, based on current number of children born and people emigrating. 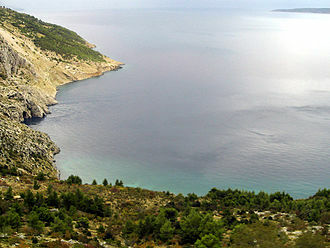 Experts believe both options are unlikely, Croatia is inhabited mostly by Croats, while minorities include Serbs, and 21 other ethnicities. 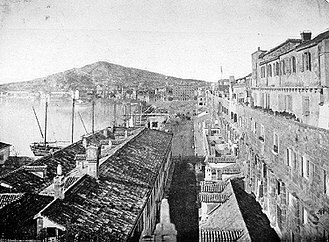 Late 19th century and the 20th century were marked by large scale economic migrations abroad, the 1940s and the 1950s in Yugoslavia were marked by internal migrations in Yugoslavia, as well as by urbanisation. The most recent significant migrations came as a result of the Croatian War of Independence when hundreds of thousands were displaced, the Croatian language is the official language, but minority languages are officially used in some local government units. Croatian is declared as the language by 95. 60% of the population. A2009 survey revealed that 78% of Croatians claim knowledge of at least one foreign language—most often English, the main religions of Croatia are Roman Catholicism, Eastern Orthodoxy and Islam. Literacy in Croatia stands at 98. 1%, the proportion of the population aged 15 and over attaining academic degrees grew rapidly since 2001, doubling and reaching 16. 7% by 2008. 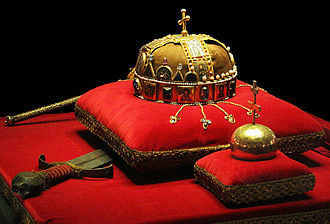 St. Vitus Cathedral is the main church of the former imperial capital, Prague.